SKU: N/A. Category: Bone Density Courses. The book and test comes with the book, test, and blank answer sheet. Purchase the eBook here on Amazon.com and order the test only from X-Ray Lady! Disclosure: We are a participant in the Amazon Services LLC Associates Program, an affiliate advertising program designed to provide a means for us to earn fees by linking to Amazon.com and affiliated sites. This is at no extra cost to you. Purchasing a Test Only means that you will only receive the posttest and blank answer sheet and course evaluation. It is the responsibility of the customer to make sure that they have ALL the necessary up to date reading materials in order to complete the test as our courses are updated frequently. X-Ray Lady Company is not responsible for the failed result of someone attempting to complete a test without any or incorrect reading materials. This course provides crucial information that the bone densitometry technologist can use to improve bone health assessments. Performing a DXA scan is a great way to begin to evaluate bone health, but that should not be the entire assessment. Many factors are involved in bone health, such as nutrition, physical activity, prescription drugs, and other ailments. Certain lifestyle factors dramatically increase one’s bone loss in certain areas, so the radiographer would benefit from knowing the impacts of these on bone. Genes do determine some aspects of bone health, but patients can profit from sound counsel on what they can do to ensure bone health. 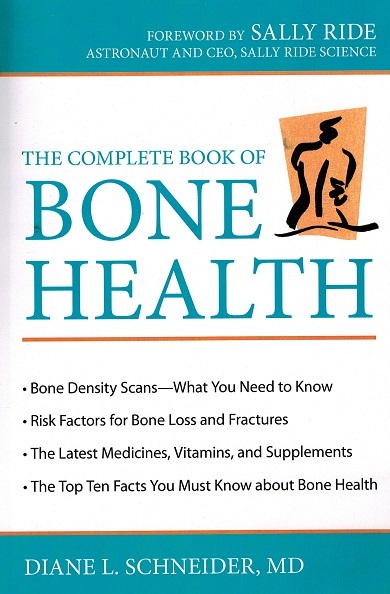 This course is based on the textbook, The Complete Book of Bone Health by Diane L. Schneider, MD ©2011. This course has a corresponding posttest containing 120 multiple choice and true/false questions. All X-Ray Lady Courses may be used for structured education or CQR requirements. Please note that structured education requires 16 hours with at least one hour in each category of the content specifications. It is your responsibility to determine if a course will apply towards your specific needs. Coding information on all courses can be found here. By placing this order, you agree to abide by our refund and exchange policy. Please note that there are NO REFUNDS for eBook materials once your order has been sent.